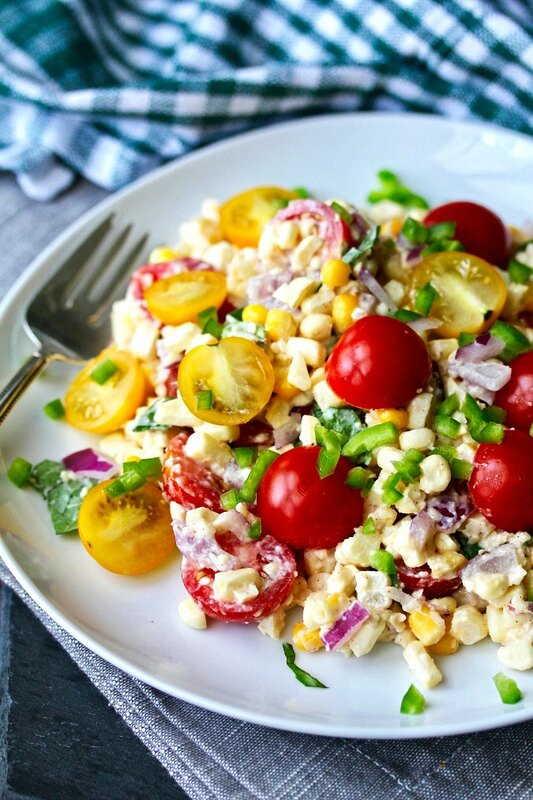 This Mexican Street Corn Salad is so fresh and delicious. In her book, Susan suggests that if you'd like to make it heartier, you can add a can of drained black beans. That sounds delicious, but I thought this salad was totally hearty on its own. It's sweet, creamy, and has just the right amount of kick from jalapeño chiles, red onion, and chili powder. I used fresh corn to make this salad, but you can also use frozen when corn is not in season. 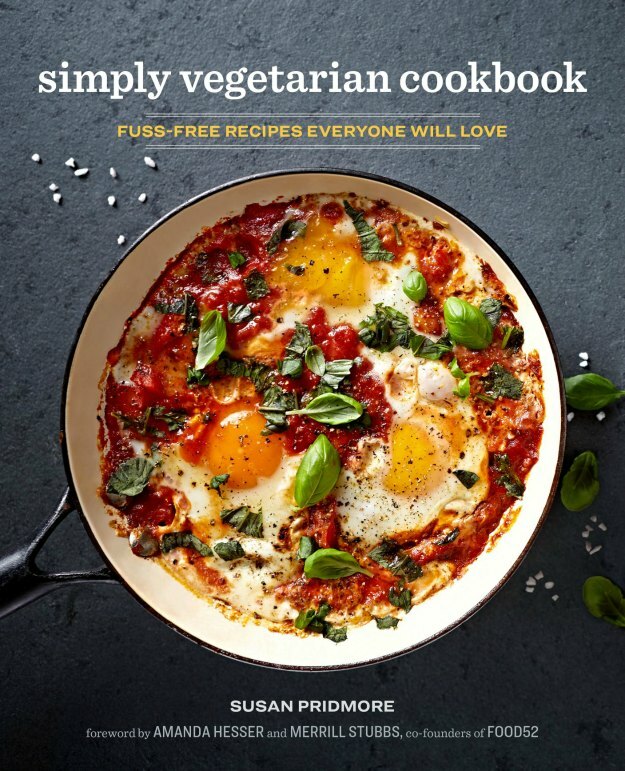 One of the things I love about this book is that Susan offers suggestions for many of the recipes to adapt them for the non-vegetarians in your life. For example, she suggests adding crumbled bacon to this salad. Bacon! This salad was totally delicious. It made fabulous leftovers, and would be perfect to take to a potluck picnic. While the recipe says that it serves four, I think it could be stretched to eight servings if there are lots of other dishes on the buffet table. Disclosure: I received a copy of the book as part of a promotion. I still love the book. Note: If you can't find Cotija cheese, you can substitute a 50/50 mixture of Parmesan and ricotta (or possibly feta) cheese into the mayonnaise. 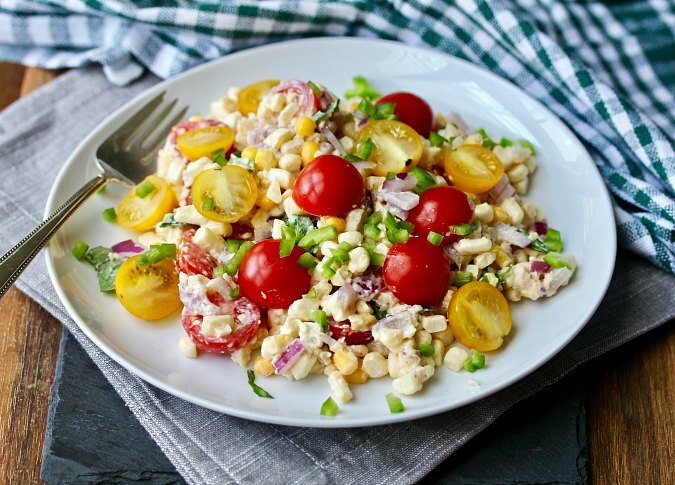 This Mexican Street Corn Salad takes the flavors from the grilled corn slathered in a mixture of mayonnaise, cotija cheese, chili, and lime (elotes) sold by street vendors in Mexico (and here in parts of Los Angeles) and incorporates them into a delicious salad. To make the dressing, combine the cheese, mayonnaise, jalapeño, garlic, lime juice, salt, and chili powder together in a small bowl. 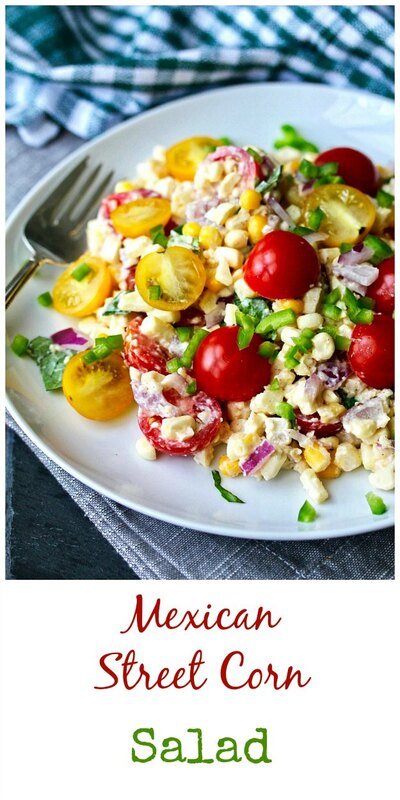 To make the salad, combine the corn, tomatoes, onion, and basil leaves in a large bowl. Add the dressing one spoonful at a time, and toss until the salad is well coated. Your photos are fantastic!!!! I made it again for dinner last night, and we inhaled the whole thing, lol. Thank you so much for your kind words about my cookbook, and how wonderful you are to link everyone who's posted so far!! Awww. Thanks! I am planning on making it again next weekend! What beautiful pictures! I love street corn inspired recipes and the tomatoes in yours makes it look so fresh! Thanks so much Carlee. It was so delicious! This looks like a perfect summer salad - very colorful, fresh, and delicious!